Need document shredding services at home or for your business? Don’t wait you can get a quote and schedule your appointment today with one phone call to A1 DATASHRED. We know you’re busy so we make ordering the most convenient document destruction service in Hopedale MA easy. One call is all it takes to get great pricing and booking your service for any day you want Monday through Friday. Since we are a mobile service we come to your location with one of our paper shredding trucks and all of your documents will be destroyed there. It’s convenient. Document shredding is fast, easy, and cost-effective. Instead of worrying about whether your documents will be stolen from your trash can, or spending hours shredding them by hand in a personal shredder, A1 Datashredallows you to kick back and relax – knowing that your documents are completely destroyed with our on-site paper shredding service right outside your front door. It’s effective. Once a document is shredded by our industrial shredders, it’s impossible for thieves and unsavory people to reconstruct your personal information. so there’s no waiting around for your shredding job to be finished. It’s affordable. There are no surprise add-on charges at A1 Datashred. Our team offers an affordable pricing structure based on the volume and frequency of your shredding needs. It’s transparent, upfront, and easy to understand. Contact A1 Datashred Today to Schedule Your Mobile Shredding Appointment in Hopedale. For a quick, efficient and effective way to dispose of your sensitive personal documents and files. Contact A1 Datashredtoday. Our helpful document shredding team will answer any questions you have, give you an accurate, free quote for our shredding services, and help you set up your first mobile shredding and or electronic recycling appointment. Call A1 Datashred right away and we will destroy your documents the next day. Save the trees, time and worry! A proud recipient of the AAA Certification from The National Association for Information Destruction (NAID).  The NAID Certification Program establishes the highest standards for a secure destruction process including such areas as operational security, employee hiring and screening, the destruction process and responsible disposal of the shredded paper. We are committed to serving our clients with integrity and a high level of customer service. A1 DATASHRED provides secure shredding services in Boston and throughout Massachusetts.